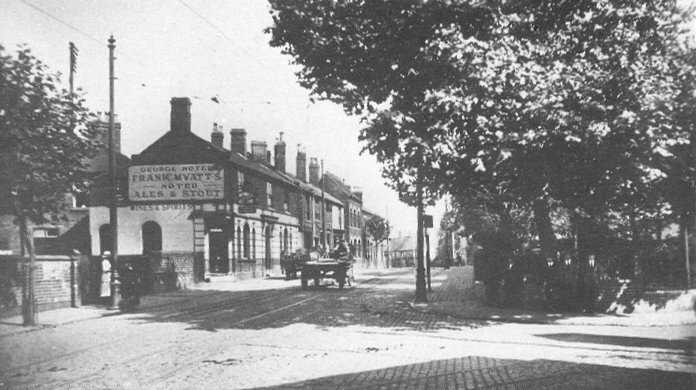 Willenhall, like other towns in the Black Country, greatly expanded and prospered in the 19th century thanks to the growth of local industries, which dominated the area. Large numbers of people moved into the town to find employment, and by the end of the century there had been a 6 fold increase in the population. Pigot & Company’s directory provides us with a snapshot of life in Willenhall during the middle of the 19th century. The town had become a centre for metal working industries, many of which were based in small workshops, often in a yard behind the business owner’s house, such as the workshop in today’s Lock Keeper’s House in New Road. The main products were locks, keys and allied industries. The directory lists 280 lockmakers, 90 keymakers, 11 key stampers, 17 spring latch makers, 15 door bolt makers, 2 brass founders and casters, 3 die sinkers, 5 filemakers, 5 iron and steel warehouses, and 2 varnish makers. There was also an iron works and colliery at Lane Head owned by local ironmaster Daniel Bagnall. Coltham Ironworks and Colliery opened in the late 1790s after the opening of the Wyrley and Essington Canal, and stretched from Lane Head to Coppice Lane. The colliery no doubt supplied the ironworks. Both the colliery and the ironworks closed around 1850. Local products were exported to many parts of the world, including Europe, South America, and the colonies. Luckily the country’s first long distance railway, the Grand Junction Railway, had its station in the town, followed by the Midland Railway in 1872. In 1846 the Grand Junction Railway became part of the country’s largest rail network, the London & North Western Railway, which ran services throughout much of the country, and must have greatly benefited local manufacturers. 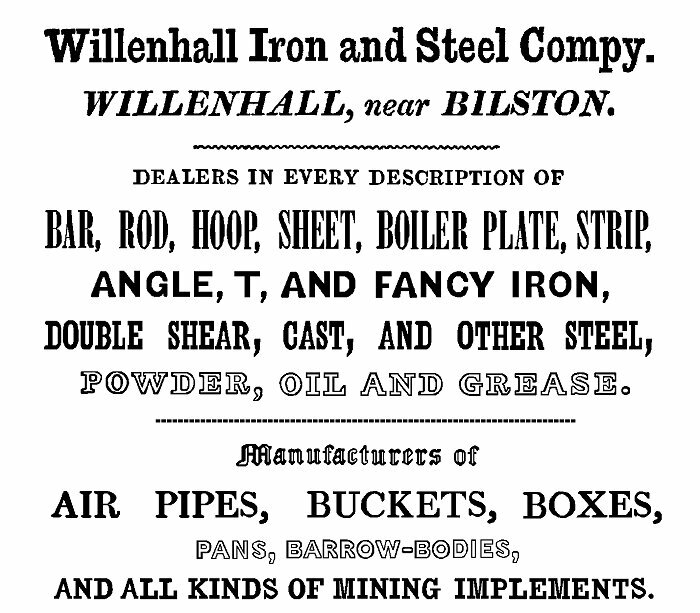 By 1855 Willenhall came to dominate the local lock making industry. At the time there were 340 lockmakers in Willenhall, 110 in Wolverhampton, and 2 in Bilston. In 1855 Willenhall Furnaces began to operate on a site between the Bentley Canal, Sandbeds Road, and Forge Road. The business was initially owned by Fletcher and Solly, who were later joined by Mr. Urwick, who provided extra capital. They had three 45 ft. high blast furnaces, with a maximum width of 13 ft. 6 inches. There were two calcining kilns where crushed lime was burnt with the ore before being transferred to the furnaces, and a large coke hearth which converted coal to coke for smelting. The blast for the three furnaces was provided by a 150 hp. condensing beam engine. 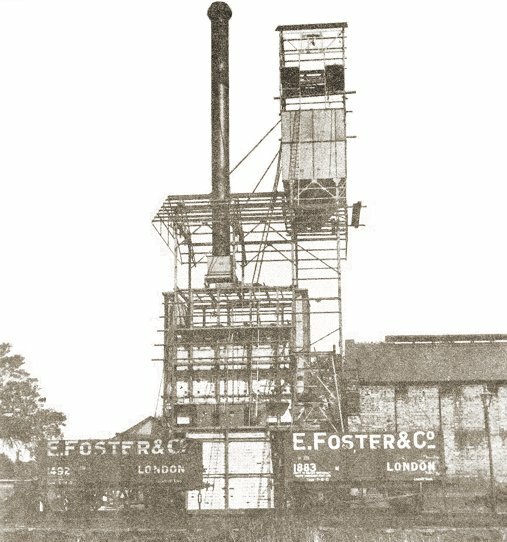 The whole iron-making process soon became more efficient when the waste gases were trapped at the top of the furnaces and used to heat the blast engine boilers, and later the blast itself. The company owned several coal mines in the area including the nearby Clothiers Colliery, which supplied coal to the iron works via a 2 ft. 6 inch gauge tramway, with about a mile of track. The wagons were hauled by horses until 1862, when they were replaced by an 0-4-0 steam saddle tank locomotive, designed and built by John Smith, at the Village Foundry in Coven. The following year a second, more powerful 0-4-0 John Smith saddle tank locomotive came into operation on the site. They hauled around twenty five tons of coal each day from the nearby mines, and coal from the nearby canal basin that came from Sneyd Colliery, near Bloxwich, which was also owned by the firm. The locomotives also hauled limestone and iron ore, which also arrived by canal. In 1872 when the Wolverhampton and Walsall Railway opened, the company constructed a standard gauge siding to Stafford Street Station and acquired a second-hand standard gauge Sharpe Brothers 0-6-0 saddle tank. The firm went public in 1875 and became the Willenhall Furnaces Company Limited. At the height of production around 500 tons of iron were produced each week. The company became a victim of the depression in the iron trade, and suffered from flooding problems in the mines. By 1881 only one furnace was still in use. The business went into receivership, and closed on the 9th April, 1881. An advert from Slater's Classified Directory of the Manufacturing District, 15 Miles Around Birmingham. Published in 1851. The Market Place around the end of the First World War. Willenhall has had a thriving market for several hundred years. 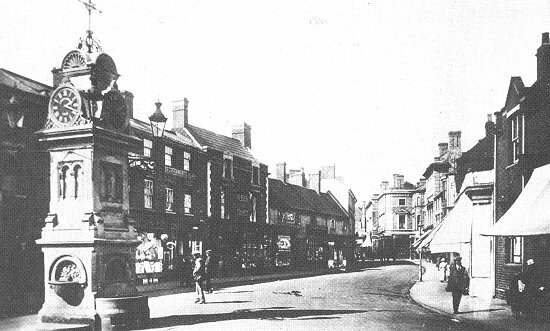 In the 19th century the stalls were erected below the old market cross, until a handsome covered market was built. Traders had to pay a rent to use the new building, which soon closed because they preferred to set up their stalls in the Market Place, which was free. The old market cross, as it was called, consisted of a 2 storey building, with market stalls on the ground floor, and a school room above. In the 18th century it was the site of the first open air Methodist service in the town, and a site used for bull baiting, until it was banned in 1825. Today’s elaborate market clock was built in 1892 as a memorial to Joseph Tonks, a popular local figure, who kept the Forge Inn in Spring Bank, and practised medicine. The clock still has its original drinking fountain and horse trough. The town was well served by a variety of shops. The directory lists 46 shops in the town centre, although in actuality there were many more. The Market Place was full of small shops, selling all kinds of goods and services, so that locals could do most, if not all of their shopping in the vicinity. In Lichfield Street was Willis Butler’s hairdressers, and in Walsall Street stood Henry Greader’s watch makers shop. Glass and china could be obtained from John Harper in Wolverhampton Street, and books, stationery, and printing were available at Charles Berry’s premises, also in Wolverhampton Street. The chief constable, John Austin, could be found at his bakers shop in Stafford Street, and in Church Street there was even a steel truss maker in the form of Daniel Read. The post office in Wolverhampton Street was run by postmaster John Tildesley. Letters from Walsall and parts east and south arrived by foot post, every morning at eight, and were despatched every afternoon at half past three. Letters from Wolverhampton and parts north and west, arrived by foot post every afternoon at four, and were despatched every morning at half past seven. Wolverhampton Street in the 1920s. People could easily travel to most parts of the country by train, and local coaches and omnibuses passed through the town. Coaches called at the Neptune Inn, which was run by the Hartill family and stood almost opposite St. Giles Church in Walsall Street. The coach to Lichfield from Wolverhampton called at the inn every morning except Sunday, at twenty minutes past nine. The coach to Wolverhampton from Lichfield called at the Neptune every afternoon except Sunday, at five p.m.
Omnibuses also called at the Neptune. There were two omnibuses daily, except on Sundays, to Birmingham, and two daily to Wolverhampton. There were also omnibuses from the Three Crowns and the Queen's Arms. Local carriers transported goods to Birmingham, Wolverhampton, and Walsall. They included Benjamin Smith, Wheatcroft and Company, John Shepherd, Ezekiel Stokes, Pickford & Company, Mrs. Knowles, James Beddows, William Fletcher, William Kendrick, and Joseph Lloyd. Looking into Walsall Street from outside Dale House. From an old postcard. The town was supplied with gas by the Willenhall Gas Company, which also supplied Essington, Hilton, and parts of Bilston, and Darlaston. The company was formed in 1837, and an Act of Parliament for incorporation was Passed in 1857. The company’s agent was John Greader, based in Church Street. The gas works was originally in Lower Lichfield Street, but couldn’t keep up with demand. The location of the Gas Works in Lower Lichfield Street. A single jet factory light - six pence per week. A double jet factory light - nine pence per week. A house or shop light - £2.2s.0d. per year. A fish tail light - £2.10s.0d. per year. A public house light - £3.3s.0d. per year. 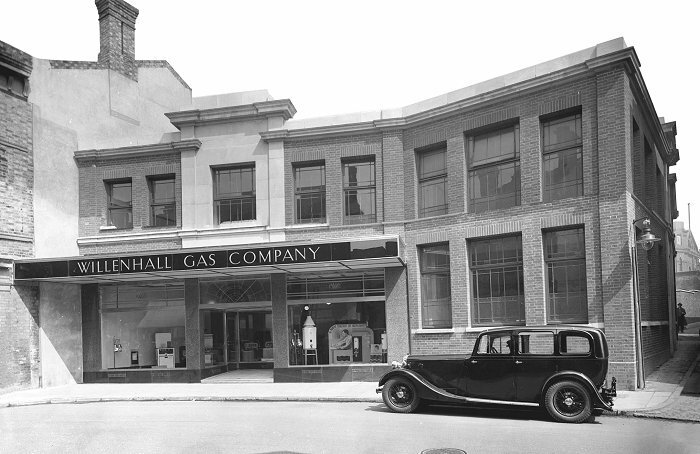 The new gas showroom and offices. 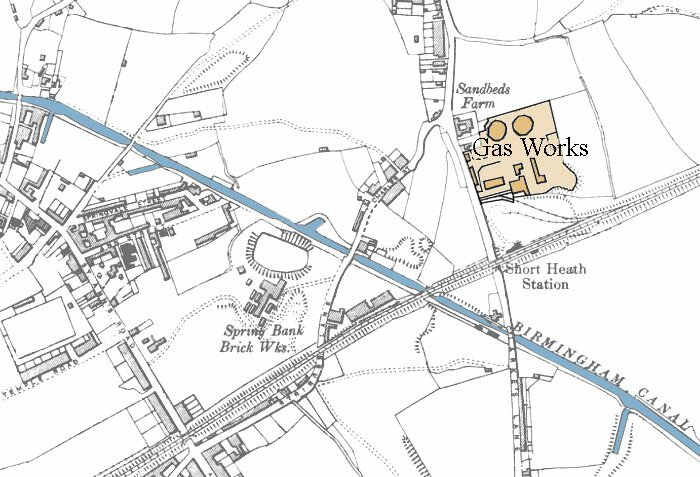 In 1891 the company purchased a piece of land in Clarkes Lane from the Hincks family, on which to build a larger gas works. The company was one of the first to charge for gas using British thermal units, after obtaining an Order under the Gas Regulation Act of 1920. 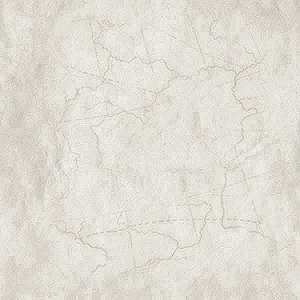 The company’s prices were some of the lowest in the Midlands, with special discounts for industrial customers. Labour saving devices were installed at the works, which in the late 1930s carbonised around 27,000 tons of coal a year. The company also produced around 11,000 tons of coke annually. 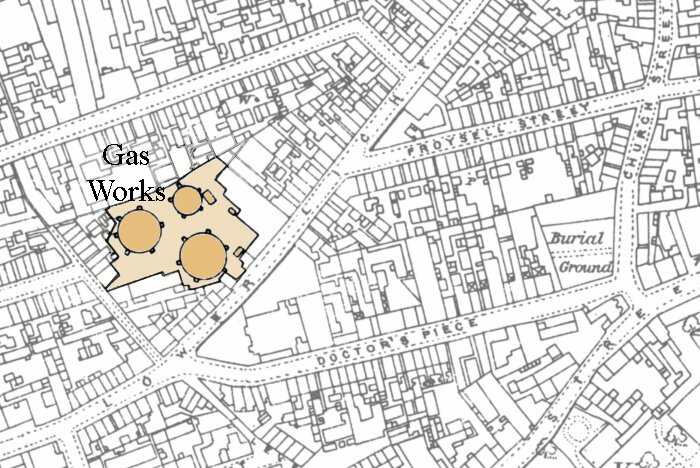 The location of the Gas Works in Clarkes Lane. 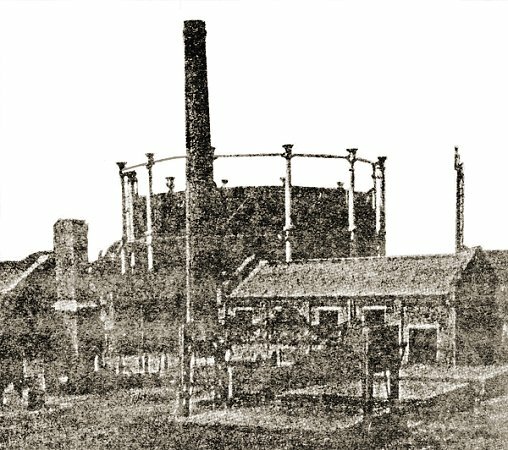 The Gas Works in Clarkes Lane. Another view of the Clarkes Lane Gas Works. 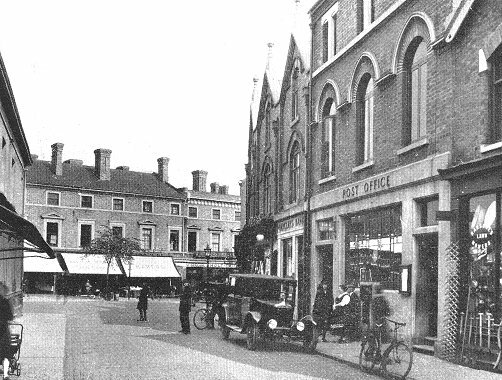 In 1935 a new office and showroom was built in the Market Place, with a general stores, fitting shops, and a cookery demonstration room. The building opened in 1937 during the company’s centenary celebrations. The town was also supplied with gas from the Mond Gas Company at Dudley Port, which specialised in selling cheap gas to industrial users. Electricity was supplied by the Midland Electric Corporation for Power Distribution Limited, based at Toll End Road, Tipton. The supply consisted of 200 volts, 2 phase, A.C. at 50Hz. In 1859 water was obtained from the Wolverhampton New Waterworks Company, founded in 1852. In 1868 it was taken over by Wolverhampton Corporation. On 12th May, 1894 the Local Board of Health decided to set up an isolation hospital to isolate patients suffering from Small Pox which had reached epidemic proportions in the town. Messrs. Wards 'Casting House' was acquired, and wooden buildings were added for additional wards. Patients were transported to and from the hospital in a horse-drawn ambulance, acquired for the purpose. The hospital was built at a cost of £520, furnished for £300, and had a maintenance bill of £500. An early problem was the cost of keeping patients at the hospital. Initially they were each asked to pay 20 shillings a week, which was a lot of money at the time. This was soon withdrawn, and they were asked to pay whatever they felt they could afford. The hospital was eventually taken over by the County Health Authority, and survived until the 1920s when it became surplus to requirements. 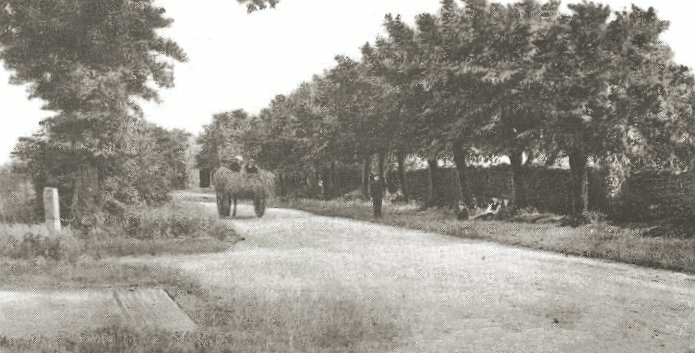 Neachells Lane in the early years of the 20th century. The row of trees was known as 'Twenty Trees'. From an old postcard.